Each type of trauma — not the number of incidents of each trauma — was given an ACE score of 1. So, a person who has been emotionally abused, physically neglected and grew up with an alcoholic father who beat up his wife would have an ACE score of 4. The ACE Study found that childhood trauma was very common — two-thirds of the 17,000 mostly white, middle-class, college-educated participants (all had jobs and great health care because they were members of Kaiser Permanene) experienced at least one type of severe childhood trauma. Most had suffered two or more. The more types of childhood trauma a person has, the higher the risk of medical, mental and social problems as an adult (Got Your ACE Score?). Compared with people who have zero ACEs, people with an ACEs score of 4 are twice as likely to be smokers, 12 times more likely to attempt suicide, seven times more likely to be alcoholic, and 10 times more likely to inject street drugs. Compared to people with zero ACEs, people with an ACE score of 6 have a shorter lifespan – by 20 years. Twenty-two states and Washington, D.C., have done their own ACE surveys, with similar results. The ACE Study is part of a perfect storm of research emerging over the last 20 years that is revolutionizing our understanding of human development. Brain research shows how the toxic stress of trauma damages the structure and function of children’s brains, which can explain their hyperactivity, inattentiveness, angry outbursts and other behavior. This affects their ability to learn in school, and leads them to use drugs, alcohol, thrill sports, food and/or work as coping mechanisms. Biomedical researchers discovered that toxic stress experienced as a child can linger in the body to cause chronic inflammation as an adult, resulting in heart and auto-immune diseases, such as arthritis. And epigenetic research shows that the social and emotional environment can turn genes on and off, and childhood trauma can be passed from parent to child to grandchild. Let’s put this another way: A huge chunk of the billions upon billions of dollars that Americans spend on health care, emergency services, social services and criminal justice boils down to what happens – or doesn’t happen — to children in their families and communities. The pediatricians mentioned in this article know that, and they also know that if they intervene early enough to stop or prevent childhood trauma by building resilience factors in children and families, children won’t suffer, and they’ll have happier, healthier lives as adults. When Tabitha Lawson brought her four-month-old son in to the Children’s Clinic in Portland, OR, they both were having a hard time. Unlike her 6-year-old daughter, he wasn’t an easy baby. He had colic, and Tabitha and her husband were under stress from his long bouts of crying. She filled out a survey with 10 questions about her adverse childhood experiences (ACEs) and another 15 questions about protective factors. (Here is the ACESandResilienceQuestionnaire.) The 10 ACEs include physical, sexual and verbal abuse, and physical and emotional neglect; and five types of family dysfunction – a family member addicted to alcohol or other drug, a family member in prison or diagnosed with a mental illness, witnessing a mother being abused, and loss of a parent through separation or divorce. Her pediatrician, Dr. R.J. Gillespie, went over the survey with her. He said it was helpful for him to know what she experienced while growing up, so that he could think about how to support her own parenting skills through what might be challenging times or experiences. Lawson had suffered through her parents’ acrimonious divorce, her father had been an alcoholic, and had retained custody of Lawson and her sister in a poisonous dispute. Her mother withdrew, neglecting Lawson, and her father was emotionally abusive. That’s an ACE score of 4, which can be a red flag. In Lawson’s case, she was already aware of how harmful those experiences were. “I had decided to rise above the cycle of dysfunction and divorce,” says Lawson, and she and her husband were very clear about the loving environment they wanted to create for their children. She believes in the mantra, “It takes a village to raise a child,” so welcomed the support and involvement of her husband’s parents and aunt. Nevertheless, Gillespie knew that the addition of a colicky baby was putting stress on Lawson and her family. “He gave me a worksheet to fill out, so that I knew in advance who I could call when I was under extreme stress,” she says. He also gave her tips on how to reduce her stress level by doing breathing exercises, yoga, and stopping for 10 minutes on her way home to give herself some alone time. He told her to call him anytime she needed to talk with him. Perhaps the first pediatrician to do anything with the ACE Study was Dr. David Willis, who was medical director at the Artz Center for Developmental Health in Portland. The center received referrals from pediatricians for children who had behavioral or developmental problems. Willis had learned about the ACE Study in 2005, and its implications had hit him like a thunderbolt. Willis, who is now director of the Division of Home Visiting and Early Childhood Systems in the U.S. Department of Health and Human Services’ Health Resources and Services Administration, began using the ACE questionnaire with all families who came to him. “It got to the point where I could predict the parents’ ACE score after they described the child’s behavioral pattern,” he says. Having the parents fill out the ACE survey enabled him to have frank discussions with them. “We could now freely talk about when they were in conflict with the child,” he says. This enabled him to help the parents help their child regulate, instead of dissociating or avoiding the child when the child was angry with them. He taught them the importance of being firm, fair and friendly in an atmosphere of struggle and conflict, while listening and acknowledging the child’s frustrations and fears. Pettersen knows that parents who’ve experienced chronic trauma in their childhoods have a good chance of passing that on to their children. Screening for ACES wasn’t a huge leap, explains Gillespie, because the clinic began screening for developmental disability and autism in 2008, and for peripartum mood disorders in 2009. But none of those screening tools helped them understand what was going on in the family, or to help parents understand why childhood trauma is such a critical issue. The responses, says Pettersen, have ranged from, “This one’s kind of hard for me still,” or “I’ve gone back into counseling for this one”, or “I plan to go back into counseling. When asked what kinds of support they needed, most parents said parenting classes, support groups, or more information on the web. “Only three said a respite nursery (where stressed parents can bring their children),” says Pettersen. “That’s very telling, because it says that they want to do it themselves. They want to have the support so they can do the best job they can.” Two of the three who wanted a respite nursery were the parents of one baby. “I am really concerned about that baby,” says Pettersen. The other was a woman who was widowed shortly after her baby was born; her desire for intense support made sense. The pediatricians also emphasize the resilience questions, to point out resources the parents had or have, so that they can build on them. “The real take-home message,” of screening parents for ACEs, says Pettersen, “is that my partners who are doing this say they cannot imagine going back to the way things were. The amount of intimacy they have with their patients has increased. Their comfort level with this was much easier to come to than they expected.” All of the clinic’s pediatricians now do ACEs screening. One of the side effects of screening for ACEs and peripartum mood disorders, says Gillespie, is that mothers have felt more comfortable asking the pediatricians to help them with domestic violence. In turn, the clinic developed responses, including arranging immediate entry for a woman and her children to an emergency shelter, providing referrals to attorneys, and/or support groups. During the pilot phase, the pediatricians gathered data that showed there was little difference in ACE scores 2, 3 or 4+ between patients who had private (economically well-off) or public health insurance (lower income brackets). This brings up a policy question, says Pettersen. If the state is rolling out a program for kids who have publicly funded insurance because the state believes these children are at higher risk, it may need to examine children in families with private insurance, too, as the incidence of trauma may be just as great. — Adding other types of childhood trauma to the ACE questions, including bullying, involvement in the foster care system, witnessing community violence, or discrimination based on race, ethnicity or sexual orientation. — Working closely with their Spanish-speaking populations to understang cultural differences that may require different questions. “We find that one-third of our Spanish-speaking patients never attest to more than one ACE,” says Gillespie. 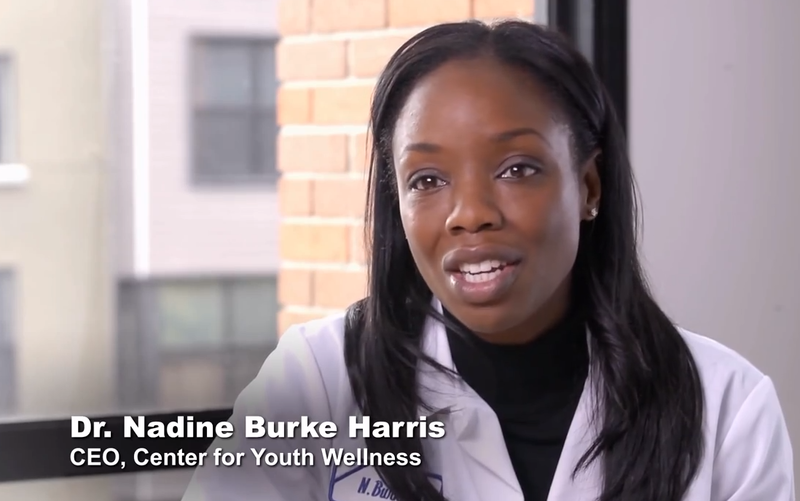 A strength-based approach is what Dr. Nadine Burke Harris and her team are taking at the Center for Youth Wellness in San Francisco, which provides wrap-around services for children and families at Bayview Child Health Center. The two organizations are in the same building; to the families they serve, there’s no distinction. Dr. Nadine Burke Harris founded the Bayview clinic in 2007 to serve families in the long-marginalized neighborhood of Bayview-Hunters Point in San Francisco. When she learned about the Centers for Disease Control and Prevention’s Adverse Childhood Experiences (ACE) Study in 2008, “The clouds parted,” she told Paul Tough, in “The Poverty Clinic”, which appeared in The New Yorker in 2011. “To understand the mechanism,” says Burke Harris, “is to know what to target.” If children’s exposure to trauma was causing illness, then it was important to target the trauma. 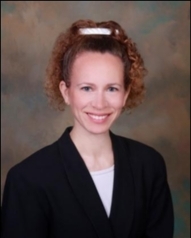 To understand how trauma was affecting her clinic’s patients, she and Dr. Victor Carrion, a psychiatrist at Stanford School of Medicine’s Early Life Stress and Pediatric Anxiety Program, did a study of 701 children who had come through Bayview’s doors between 2007 and 2009. The study, published in the Journal of Child Abuse and Neglect in 2011, found that 67% of the children had experienced at least one type of trauma. Twelve percent had experienced four or more. The average age of the children was seven — which showed that the kids in this neighborhood were accumulating adverse childhood experiences (ACEs) at a fast clip. The outcomes were striking: Of the kids with zero ACEs, 97% had no learning problems. But half the kids with an ACE score of 4 or higher had learning problems. Kids with an ACE score of 4 or more also had higher rates of obesity. Now Bayview’s pediatricians screen every child for ACEs at a well-child check by asking the parents a set of questions. For example: Who lives in the child’s home? Has anyone come and gone? If it’s just the mother and the child, they ask, Where’s the father?, and find out if the father’s incarcerated , has died or is still in the child’s life. For children who have 1-3 ACEs with symptoms, or 4 or more ACEs with or without symptoms, they and their families are referred to services provided by CYW, which include mental health practitioners, case managers who connect families with social services and do home visits, and people who work with the children’s schools. CYW is also exploring solutions ranging from teaching kids how to regulate their stress levels through mindfulness and biofeedback, to working with the local district attorney, police, and schools to develop community resilience. One of the reasons Burke Harris decided to do the study in 2009 was because so many parents who showed up at the clinic were asking for ADHD medication for their kids; they’d been told by their children’s school teachers that their children had ADHD. Out of 100 cases of kids with behavioral issues, she says, on average 50 will reveal a history of trauma. Another 47 show up at the clinic with an ADHD diagnosis and are already on medication. “Part of my work is to help the parent understand that there may be something more going on and that we also need to get to the root cause of their child’s behavior problems,” says Burke Harris. Only three children out of 100 will have true ADHD, she says. In these cases, there’s no history of trauma, the child lives in a supportive household and there are no major stressors. Nevertheless, if Burke Harris writes a prescription, she also prescribes therapy and provides parents with guidance to change their behavior so that they can bond more closely with their child. Dr. Tina Marie Hahn has such a unique perspective on childhood trauma that she says she knows ACEs without asking about ACEs. When she was four years old, she watched her raging father push her grandmother, who was Hahn’s protector, down a set of steps into the basement, where she died. For the next 13 years, her father brutalized her and her two younger siblings physically, emotionally and sexually before she was emancipated and child protective services separated her siblings from her parents. Hahn has an ACE score of 9. She describes herself as the “educational perfectionist” of the family, who excelled enough to graduate from medical school. When parents bring a child in for a behavioral health evaluation, she runs them and the child through a series of behavioral health questionnaires to which she’s added ACE questions: Who’s in the home? What are the recent changes regarding home and school? How is the child doing in school? Who are the child’s friends and how do they get along? What activities is the child involved in after or outside of school? Is there a family history of mental health or drug and alcohol problems? Is there a social history of family members in jail or prison? What community and family resilience resources are available (after school, church, caring relatives)? 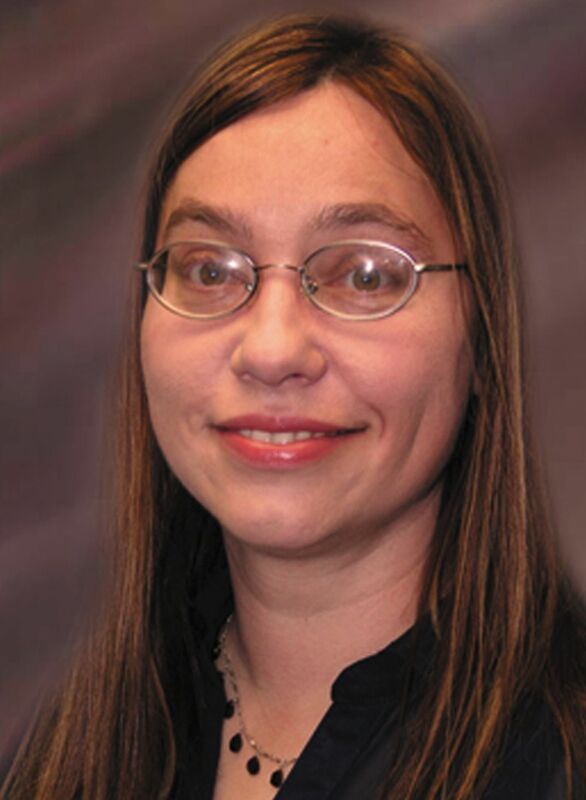 She’s taken it upon herself to educate physicians and nurses in her town of Alpena and in the surrounding area. She’s experienced physicians who dismiss cutting in adolescents as a “fad”, and who ignore the trauma symptoms of children – such as a toddler violently banging his head against the wall during a visit– and explaining that it wasn’t related to why the parent brought the child in. She wants every pediatrician to screen children for ACEs, and to make ACEs screening a part of the maintenance of certification required by the American Board of Pediatrics. At Phoenix Children’s Hospital in Arizona, about a dozen pediatricians, more than 40 medical residents, all nurses, attendants and front desk staff are undergoing final training to start screening parents and their newborn- to five-year-old children for ACEs. They plan to start screening after reviewing the screening tools other pediatricians around the U.S. are using. The clinic, which handles about 20,000 visits annually, has been making this transition over the last couple of years. Besides adverse childhood experiences, the staff also asks about basic necessities, such as housing and food. Asking all these questions can mean the difference between a healthy and an unhealthy child, says Bode. She tells the story of a woman and her young son, who was born with a heart condition. Over the last couple of years, when the mother brought him in for checkups, the physicians talked with her about the child’s medical complexities and urged her to make sure he was given a specialized formula. “I’ve seen him at least six times,” says Bode. “And he hasn’t been doing well. We finally did an ACEs and basic needs screening and found out that the mother was a victim of domestic violence, was intermittently homeless because she wanted to leave her partner but was unable to afford it, and couldn’t afford the child’s specialized formula. When the mother was asked about her ACEs, her child’s ACEs and her basic needs, she broke down in tears, relieved that someone was finally asking her about things that she needed help with, says Bode. The staff found her a place in a domestic violence shelter and signed her up for the WIC program so that she could obtain the specialized formula. Now, both she and her child are thriving, says Bode. In making the transition to addressing ACEs and basic needs, the clinic’s pediatricians were concerned about two issues: that the screening process be integrated into the flow of the clinic, and making sure they had the tools to help their patients. The clinic has integrated Healthy Steps, a national program started by the Commonwealth Fund, the American Academy of Pediatrics, and Boston University that includes a developmental and behavioral specialist who works with the parents and pediatrician at every well-baby checkup, a parent hotline, home visits, support groups for parents and families, counseling for parents, referrals to children’s specialists, and social services. They’re planning on screening for ACEs on parents and their newborns to five-year-olds first to focus on early childhood brain development and develop ways to support attachment between parents and children. “As we get that going, we’ll expand from kids from five to 18 years old,” says Bode. In the Bronx, New York, Dr. Rahil Briggs is preparing to take a similar approach to a much larger scale to prevent childhood ACEs that can lead to behavioral issues and physical health problems. She’s developing a program to do ACE screening on tens of thousands of children and their families in the 22 pediatric clinics that are part of Montefiore Medical Group, part of Montefiore Medical Center. The center established wrap-around services for high-risk families in 2006, also with the Healthy Steps program. Briggs, a clinical psychologist, is director of Montefiore’s Healthy Steps, where they’ve been piloting ACEs screening on parents and children for about a year. “We know our program works,” says Briggs. So far, their research shows that mothers who are part of Healthy Steps use emergency room services less, and the children have healthy social and emotional development, despite their mothers’ history of childhood trauma. In the pilot, each of the parents reports his or her ACE score, and that of their baby at the first well-baby visit. If either parent has an ACE score of 4 or higher, the family is automatically offered enrollment in Healthy Steps. “My hope is that people know their ACE score and use it, much like the APGAR scores for babies,” says Briggs. “Any way that provides concrete information about ACEs and experiences, and where they might be at risk, will help parents in trying to keep their baby’s score low,” and thus decrease the risk of their child experiencing trauma and developing behaviors that are currently treated by most pediatricians, psychologists and psychiatrists as abnormal and requiring medication. In Loma Linda, CA, Dr. Ariane Marie-Mitchell is developing a similar screening tool in the Pediatrics Department at Loma Linda University Medical Center. 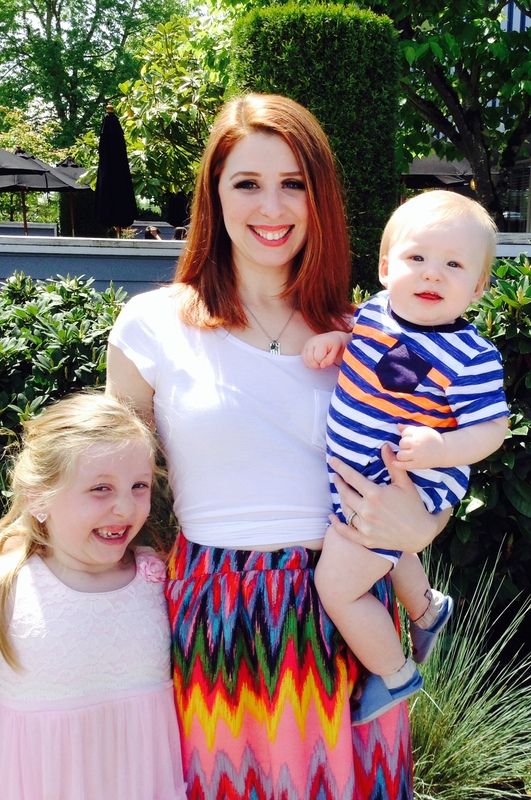 She hopes to make the tool available to any pediatrician to identify high-risk families. In a pilot study she conducted in Rochester, NY, parents filled out a modified ACE survey on their four- to five-year-old children. They were asked seven questions – the original ACE Study questions minus the queries about physical, sexual and emotional abuse and neglect, because Marie-Mitchell didn’t think that parents would answer them accurately. She added a question about maternal education. She found that the screener identified children at risk for behavioral problems, developmental delay and injury. The study – Adverse childhood experiences: translating knowledge into identification of children at high risk for poor outcomes — was published in the journal Academic Pediatrics last year. She’s now doing focus groups on the screening tool at two clinics in Loma Linda – one that serves low-income families and the other that serves patients who have private insurance. Then she’ll gather information about how feasible it is to integrate the tool into practice. She wants to know how the tool affects the patient experience, specifically the effects on visit time, risk factors identified by the pediatrician, community referral rates and patient satisfaction. “Once we feel we’ve got it right, then we’ll go into an actual trial to test not only the screening tool, but the success of interventions,” she says. She intends to develop screening tools for parents to complete on young children, and for adolescents to complete on themselves. She also wants to experiment with adding questions that predict the risk of maltreatment, in addition to history of maltreatment. From what she’s learned so far, she believes an ACEs screening tool would be useful no matter what population pediatricians serve. “Low-income kids do accumulate a lot of risk factors and they might be higher for some ACEs,” she says, “but we know that children with high ACE scores can be found across income groups.” The ACE Study participants, who were mostly white, middle- and upper-middle class and had jobs and great health care, reported that childhood maltreatment and family dysfunction were common. Marie-Mitchell relates the story of a pediatrician who served a wealthy clientele and had particularly good rapport with one parent who was friendly and outgoing. The pediatrician was stunned when she learned the mother had died in her sleep of alcohol intoxication. Some of Marie-Mitchell’s patients tell her that they assume their physicians aren’t interested in that side of their lives; they think their physicians just want to identify the medical problem, prescribe medication and move on. Marie-Mitchell believes that screening for ACEs in children should be a standard part of well-child care. “It has tremendous power to change the course of someone’s life, if that identification of risk factors is combined with getting the child, family or both the kind of help that they need,” she says. « Failing schools or failing paradigm? As an educator, intuitively I have always been interested in the history of a child and family and have always gone back to birth at our fist encounter together. I always have called it the “celebration of the child and family”. It has been during this time I gain an intimacy, respect, and base of knowledge that otherwise would have missed and could have less to actions that could negatively impacted communications with the child and family. Thank you for a great article and Kudos to the pediatricians for digging deeper into the relationships of children and families. I really hope the entire medical community embraces identifying and treating ACE’s. There needs to be a profound effort to educate the public. I wish all the people involved with my very intelligent son at 17 tried to get help for me his mother and his brother and himself about his abusive father. CPS, juvenile justice, child crisis, phycologists, psychiatrist never once explained any of this to either me or him. They told me the only treatment was antidepressant (Citalopram), then left him in the care of an intern family counselor and 4 weeks to the day he hung himself. For two and a half years I’ve been doing research on my own to figure out what happened. 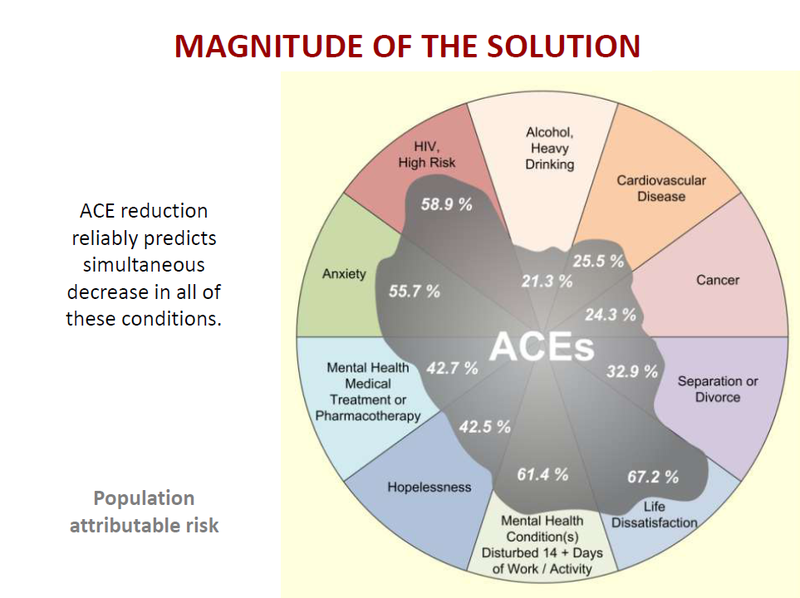 I feel that ACE’s are the crux of most medical and mental health problems. The dysregulation of the neuro circuitry and disruption of the gut microbiota because of chronic and acute stress is the result. When police are called to any domestic disturbance the have an opportunity to educate the parents the damage DV does to children by just being exposed. 30 second PSA’s across this country worked for curbing littering and people are more aware of DV now than ever before. People have no idea how this has effected their lives and without being educated they will never understand how to improve their own lives and that of their children. So do what you can to get the word out. To everyone. Thank you for this article. It will be interesting to see how the use of the ACE score evolves, and how it might be adapted to also reflect the highly negative and traumatic impact of contemporary racism, white supremacy and micro-aggressions as well as the impact of multi-generational and historical race- based trauma on people of color, particularly those of African descent. Clearly, the ACE questionnaire elicits very emotionally sensitive but powerfully predictive information. One problem is that there isn’t much evidence to support the assertion that ACE screening improves long-term developmental-behavioral or health outcomes. However, by just using common sense, I would agree that the 4-month well-child visit seems like the least “potentially harmful” time to ask such emotionally sensitive questions. However, should we be telling PCPs to replace the EPDS (maternal depression/anxiety) screening tool with the ACE questionnaire at the 4-month well-child visit? I’m not so sure. I do not think that the ACE questionnaire is appropriate to administer immediately after the delivery or at the 2-week well-child visit (where the focus is mostly about breast feeding) or even at the 2-month well-child visit (where the focus is mostly about vaccines). Ideally, I believe it should be the ob/gyn or midwife’s responsibility to be screening for ACEs & discussing resiliency in the mother and… when available, the father too. Perhaps, the most time to elicit and address ACEs is in the first trimester of the pregnancy. More research is needed about the best time to screen. Toxic stress clearly has prenatal (not just postnatal) consequences. So shouldn’t we be building a system where the mother & father’s ACE score & their resiliency factors are a standard component of the pregnancy and birth records? This makes the most sense to me. After all, the majority of hospitals have social workers on staff who work in mother-baby units. Social workers could help the parents to better understand the importance of community-based referrals to lessen the long-term impact of ACEs. Community-based referral options would include evidence-based nurse home visit programs versus parenting programs plus or minus mental health interventions for the parent(s). I couldn’t agree more with your proactive approach. The stressors on Mom ( and Dad ) while carrying the child begin the inundation of ACE factors on the growing fetus ( physiologically, neurologically, nutritionally, etc. ). In an ideal world we would turn the tide for the parents EARLY ON so the infant/child doesn’t have to swim in the murky waters later. ” – witnessing a mother being abused,” This is what is still wrong with our society. It doesn’t matter whether it’s Mom, Dad, a sibling, or the family dog that’s being abused… the trauma to the witnessing child is the same. Because we live in a society that still feels that female-on-male domestic violence is perfectly acceptable, and to some extent tongue-in-cheek funny, the damage will continue for generations. It’s sad to see such backwards thinking in such an otherwise progressive article… It’s a good start, but a slow start that need not be crippled at its onset by gender bias. That bias was chosen at the onset of this mission. Thank you for your comment. Actually, there are many more types of trauma that the ACE Study did not measure — witnessing any type of family violence, witnessing community violence, being bullied at school by peers or teachers, the loss of a sibling, natural disaster, etc. The ACE researchers understand that. Those 10 types were chosen because in a pilot study, those 10 were the types of trauma most mentioned, and there was also substantial research that showed the consequences of those individual types of violence. Although male-on-female violence is more common, female-on-male violence is not acceptable and not funny. 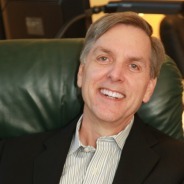 The major points of the ACE Study were that childhood trauma is very common; it can lead to chronic disease, mental illness, violence and being a victim of violence; the more types of childhood trauma, the greater risk of consequences; and the consequences of childhood trauma cost society billions of dollars in health care, social services, emergency and criminal justice. This is long, for that I do not apologize. It is very rich. Also revolutionary, only b/c we have strayed in our caregiving ways…and it is compelling especially the last three minutes. Enjoy. The traumas identified by the ACE questionnaires are, by and large, traumas to one’s spirit – one’s heart. And, spiritual issues require spiritual solutions. I’ll be interested in learning how providers will be incorporating interventions and prevention initiatives that address biblical truths and principles. A right and intimate relationship with God, a healthy relationship with self that stems from a relationship with God, and compassionate relationships with others is at the foundation of the Christian faith. Biblical principles such as receiving God’s love, forgiveness, and knowing one’s identity in Jesus can and should be offered as parts of planned initiatives. We need to be intentional about addressing the faith or spiritual dimension of childhood trauma and the care of those affected. Thank you for your comment. There are clergy who are beginning to integrate ACEs-, trauma-informed and resilience-building practices into their work. Search for David Lockridge on this site, and you’ll find a story I did about him in 2012. I’ll be updating it soon. That’s great to know! Thank you Jane. Jane, thanks so much for your faithfulness in writing and sharing about childhood trauma! While some may seek solace in a christian based faith, there are many other paths which are equally valid and give healing. Buddhism, Muslim, Hindu, Sikh, Jewish, Baha’i, Unitarian Universalism, Pagans, Wiccans, atheists and agnostics all can give support and healing to those who have experienced trauma. Bottom line is that a village needs to participate in a child’s life. People should be attentive to those who are marginalized and who are on the fringes. The movie, “it’s a wonderful life” has always been my favorite because it shows what a difference one person can have on so many others. There must be someone, just one person, who believes in a child and who steps up to be someone the child can rely on. That one person can save a child’s spirit. For me, it was Ma Swanson, the only nice foster mother I had during my 6 years in the system. She made me realize that I was loveable and without that, I don’t know how I would have survived. This is a great article and as a former ER nurse, I can see the value in having this in every ER setting. Thanks to those who pioneered this research and who are getting the word out about it. This is best article so far on this site. In terms of accessibility – it is way too long with wy too many stories. It may be 2-3 articles actually. It gives one of the best descriptions of the problem and stories about problem solving. Thanks! Yes, it is entirely too long. But I just didn’t have the heart to divide it into separate stories. However, I will to post parts of it on Huffington Post. Yes yes yes – A CULTURE SHIFT IS EXACTLY WHAT IS NEEDED. I love the flavor of this article. Thanks, Debbie! btw, that link didn’t work. Wonderful article, and wonderful doctors. It should be required reading for all pediatricians! Thank you, Janet. Indeed they are wonderful, caring doctors.